The Annex Kitchen is an Italian-Inspired restaurant influenced by the seasonal offerings of farmers throughout Central California. The cuisine seeks to reflect the rustic, ingredient focused cooking of regional Italy. 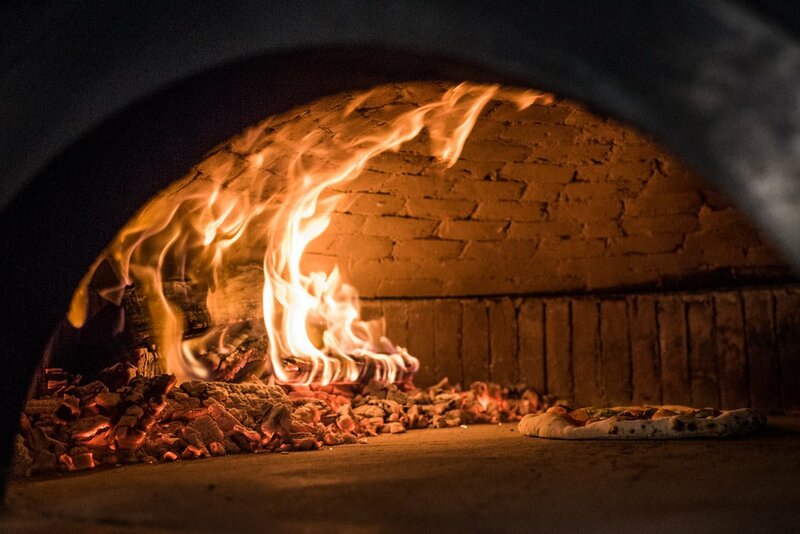 The focus of the menu revolves around housemade pastas, grilled meats and vegetables from a wood burning hearth, and pizzas baked in our wood burning Acunto oven. The full bar also draws inspiration from locally sourced seasonal produce in its development of modern crafted cocktails while also paying homage to the classics. Experience the Annex Kitchen within our entirely private dining room which can accommodate up to 16 guests comfortably. The intimate atmosphere of the room is perfect for almost any occasion, whether it is a business function or a gathering with family and friends. In the private dining room guests are served a 3 or 4 course family style menu that reflects the seasonal offerings of our regular dinner menu. The private dining room requires a food and beverage minimum of $750. The Annex Kitchen can accommodate seated meals for events of up to 94 guests. Buyouts are not available on Friday or Saturday evenings. Please inquire if you would like private use of the entire restaurant for your event. Place a pick-up catering order for your next party and we’ll worry about the cooking so you don’t have to. (559) 248-8512 to place a pick up catering order. All items are meant to serve 10-12 but can be multiplied to fit your needs. All of our food is made from scratch so we request 48 hours notice for all orders. We may accept orders on short notice however some of the options may be limited. If you are interesting in joining our team please email your resume to info@annexkitchenfresno.com.